Stepping out in style is likely something that your little boy will want to do as he gets older, so it’s important to make sure they have the right footwear for the occasion. 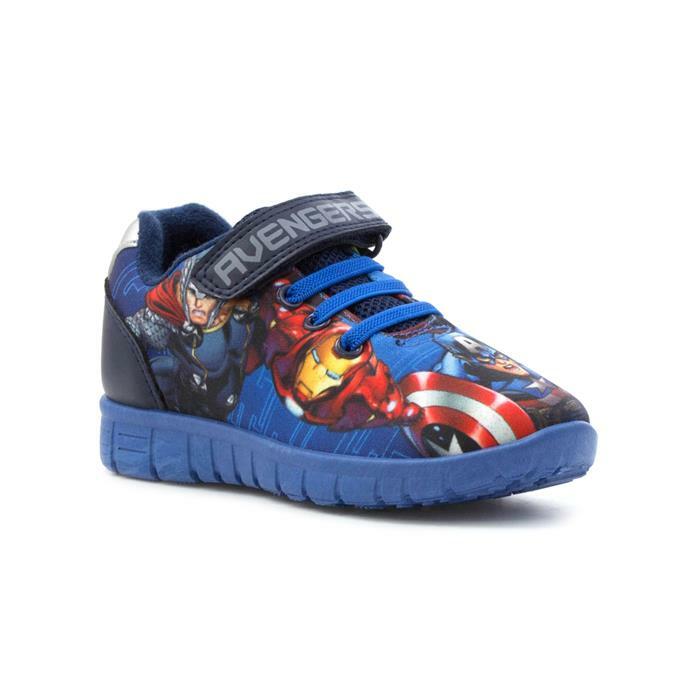 It could be that your little man is off out on a play date and he wants to make sure he’s sporting the latest trainers with his favourite characters on them. Or if he’s off to the seaside for the day, a nice comfy and colourful pair of canvas shoes will help the sun shine that little bit more. Choosing the right casual boys shoes doesn’t have to be a hard job, but there are a few things to consider when doing so. A rugged and durable pair of shoes will help withstand the stresses of being worn for climbing trees and playing football, choosing the right material will also play a big part. If your little one is off outside to play in the puddles, or maybe even help you do a spot of gardening, a good, solid pair of wellies will be invaluable. Here we’re going to take a look at the types of boys casual shoes that are available as well as what to look out for when buying casual footwear for your main man. Available in lots of different styles and designs and often referred to as plimsolls, boys canvas shoes are probably the most suitable for everyday wear. Most canvas shoes are made from a cotton blend so are great for keeping your little boy's feet cool and dry during the summer months due to their excellent moisture wicking properties. Canvas shoes however, aren’t waterproof so should be reserved for warm and dry days. A wardrobe staple for most little boys, trainers are usually the go to footwear for most activities. 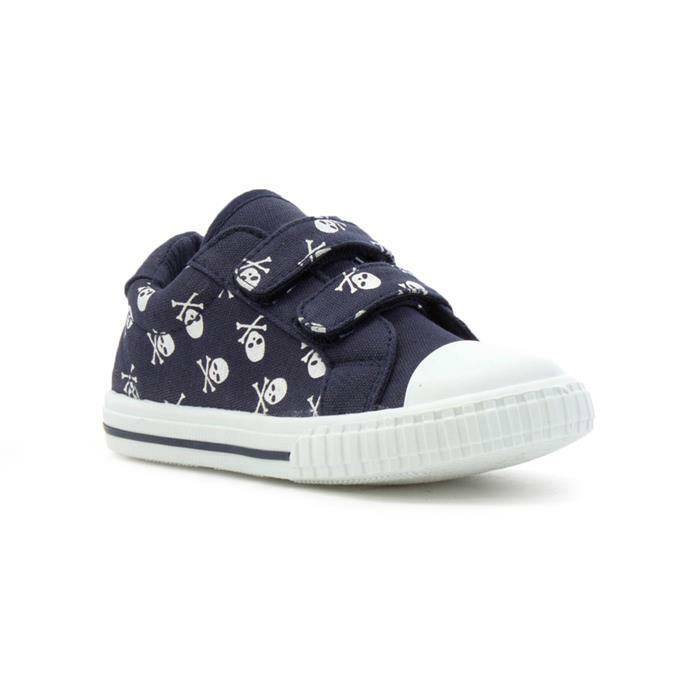 Comfortable, durable and supportive, boys trainers make a great alternative to canvas shoes, especially in the colder months of the year as they’re a little more protective. When buying trainers for your boy, always try to buy them with a cotton lining, this will help prevent bacteria growth and will help prevent excess sweating. Everyone needs a good pair of wellington boots, especially a little boy that’s on a puddle stomping mission! 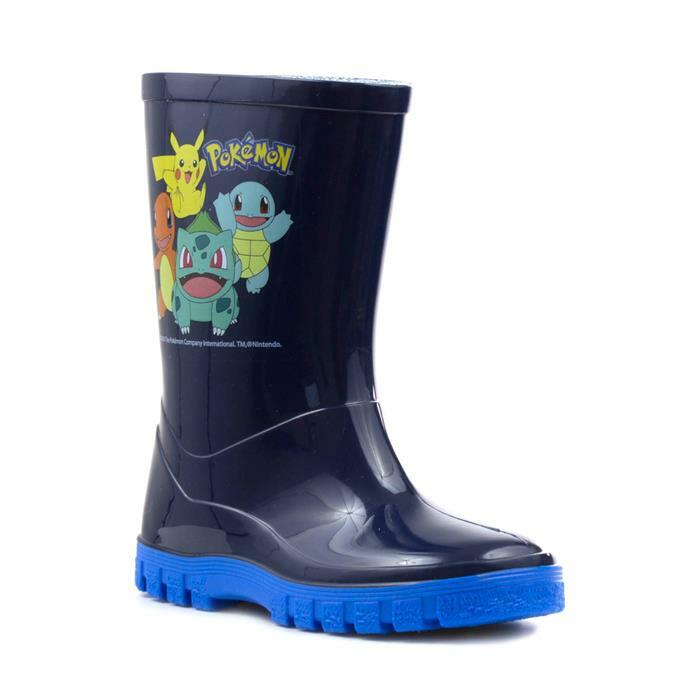 Durable, waterproof and often the footwear of choice by toddlers all year round, boys wellies come in all sorts of funky styles and designs, some even have popular characters that will certainly make your little one love them even more. Wellies are generally made to be a wider fit, this is so that chunky socks can be worn during the winter months, because of that, don’t be tempted to size up as it’s not necessary and doing so could affect your boys ability to walk. When something a little more fitted is required, a good quality pair of boots will see your boy through the winter months… and if they’re adorned with their favourite character, even better! 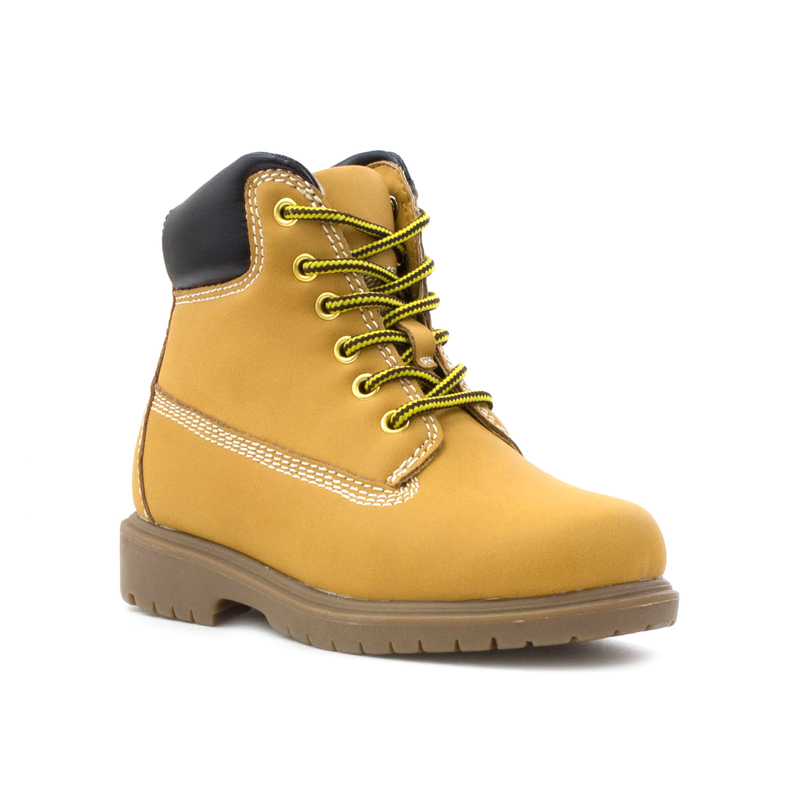 Choosing a rugged pair of character boots for boys that have laces or easy fastening will mean they weather well and fit securely making them suitable for even the harshest of conditions. 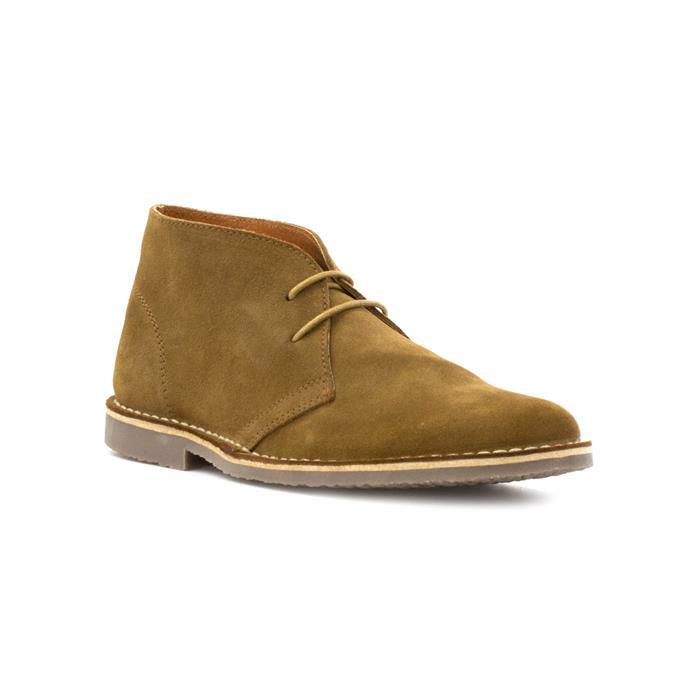 Classy and comfortable, desert boots have become increasingly trendy over the last few years. Available in lots of different stylish colours they’re certainly the footwear of choice for many a little trendsetter. Most often made from leather or suede with a flexible sole, desert boots are the ideal shoes for your little boy when looking funky and being comfortable are all that matters. As the name would suggest, desert boots are better suited to warmer and drier days due to their thinner, less rugged sole compared with winter boots. When buying shoes always consider the type of weather they’re going to be used in, buying canvas shoes in winter isn’t going to be good for your little one’s feet! Check out our guide to choosing boys shoes for the seasons for more on this topic. If the shoes you’re buying for your boy are to go with a particular outfit, choose a colour that matches, or if your little man has a favourite colour, it’s likely you’ll have to consider that too! Choosing the right kind of material for your little boy's shoes can have a big impact on foot health, choosing natural materials such as cotton, wool and leather as opposed to manmade materials, will help prevent bacteria growth caused by sweating. Considering the flexibility of the shoe is a priority when choosing a pair for your boy. A rigid sole isn’t a good choice for toddlers as they aren’t able to flex their feet properly, which may discourage them from walking. On the flip side, a sole that is too soft may not offer the structure and protection your boys feet need when out on adventures. If there’s one thing boys shoes have to be it’s durable! When climbing trees, playing football or using their feet as brakes when out riding their bike, it’s important that the shoes they’re wearing can put up with whatever is thrown at them. A good insole and a structured heel will help with durability. Probably the biggest thing to consider when choosing boys shoes. If a pair of shoes aren’t comfortable for your boy to wear or they’re causing sores and blisters, they’re probably never going to be right. Follow our boys fitting guide to make sure you get the best fit to help avoid any potential problems. Looking for a Casual Style? Now you've read about our boys casual shoes, treat his feet to pair from our online range!